So a thing I'd like to do is put together an audio dramatization of Long Live The Queen (Think the 1984 BBC production of Lord of the Rings). I do want to ask a few things before I start scripting this sort of thing though. 0) Would any ladies be interested in helping with this? As an adult male, I don't think I'd be able to passably voice most of the younger cast (I could do scratch takes but that's about it). 1) Would anyone else be interested in an audio drama of LLtQ? 2) How would/should I represent the weekly lessons? 3) Obviously Victory-By-Music would be the most impressive (necessitating a loss to the naval battle); how should other major events play out? I wouldn't mind helping with the voice work, my voice is pretty high pitched so I could easily do one of the girls. Here are a couple of scratch recordings. I'm trying to figure out a good way to do Joslyn's voice. I want it deep, but where I want it is actually out of my range on the low end (I'd have to record it up a bit and then lower it). And please don't assume that this is how Elodie is going to sound - these tracks were just for figuring out Joslyn. Also these weeks won't be happening in the final since it's Recruiting Prisoners on 29 and Ransoming the Rich on 36 (bear in mind, in the radio play we'll be losing the naval battle in order to force a showdown with Togami, so the second can't happen and the first probably won't). I love this idea! I could possibly help with the voicing - my voice is high enough for Charlotte, I think. I'm not sure what software I'd need for recording, though. As for the lessons, there should be something there just to give the sense of time passing. Maybe just a brief musical interlude, or maybe have Elodie summarize what she learned that week as if she's writing in a journal. Definitely have Elodie make mistakes early on, and uncover as much drama as possible. And if you're going for the "sing at him" ending, sing at the tournament. I'd recommend Audacity for recording, it's FLOSS (Free-Libre Open Source Software) and has most of the tools needed for this sort of thing (it doesn't have an internal mp3 output codec but ogg works just as well if not better in this day and age). Attending the tournament opens up a bag of worms in Kevan, Earl of Io. If either Arisse or Briony die before week 33, we have to survive his confrontation, which requires at least one more skill developed than if we stayed out of it entirely. I'm leaning toward a staves duel after winning the music competition because we can then spare Kevan. It does require two additional skills, but they shouldn't need to be taken past 60 each. Voice + Instrument > 100 (to pass the first check), but winning the Music Competition in Week 33 puts us where we need for this anyway with 190+. Staves > 50 (staves duel) and Flexibility + Staves > 100. Need to check and see if singing in the tournament triggers the Athletics check before the duel. I'd sure be interested in an LLTQ audio drama! I could attempt some voice work, but I can't guarantee anything...well, good. Pokota wrote: 3) Obviously Victory-By-Music would be the most impressive (necessitating a loss to the naval battle); how should other major events play out? I guess before I get deep into this question, I should ask: what's the overall vision for this adaptation? Of Elodie (is she kind? Is she cruel? Is she the type of Elodie who caught wind of the invasion, tried to stop it with more ships but failed, or was she completely blindsided? What's her opinion on Lumen?)? Is there anything in particular you wanted to happen in this adaptation (or that you don't want to happen)? As a general answer, it might tie into the skills needed for the final confrontation (which I agree would be the most impressive), which you've already listed above. Since the Foreign Intelligence, Public Speaking, and Presence skills are all high level, requiring at least 25 skill points in the other classes of their respective categories, it might be easiest to make Intrigue, Conversation, and Royal Demeanor Elodie's areas of (relative) expertise. ...Though of course I agree with ReEmmeline that Elodie should make quite a few mistakes in the beginning (one possible way to combine both Elodie's expertise and her making mistakes is having her being suspicious of Arisse with high Internal Affairs knowledge and sending Adair to live with his grandfather...if you wish to go that route). The pieces are in place at least for Elodie to recruit Sabine if there's a purpose for her. 0. I volunteer as tribute! I am both female and have a voice. PM me if you want to hear a sample or something. ~ She could be telling a friend/love interest (Cookie boy, Adair, or even her penpal Briony) about her lessons. ~You could write in her thinking back to lessons rather than showing the lessons (That cover up the fact that she came out of boarding school with no knowledge). 3. Have her fumble around in the intrigue section at first, focusing more on her composure and such (Mostly because her mother just died, so it can be a way to cope with her mother's passing). Then show her turn the tables by beating Banion at the court manners check during the banquet. I'd like to help but I'm not sure how well I'd pull it off. If you are interested I'll provide a sample for Charlotte or Elodie. I think weekly classes would sound nice if they were colored with Elodie's mood, and incorporating weekend activities should help determine which emotion she should be feeling most strongly. Diary-style description seems all right. Or maybe a short, stream-of-consciousness-y monologue during studies? It'd be nice for Elodie to consistently study expression throughout, especially during the earlier phases. Find an escape in music, yeah? She should def. win the music tournament. Recruiting Sabine beforehand and agreeing to study music with her afterward seems like a nice touch. Adding in Lumen might make it complicated and an anti-Lumen Elodie doesn't seem right for the perfect storyline...maybe she should get the crystal but wait till after her coronation to bond with it. I've just had a thought-Why not have Elodie be popular with the commoners(you know, by being kind to Alice, showing off her music skills at the tournament and sense of fashion at the Festival and such) and yet piss the nobles off with her initial mistakes? She knows her weaknesses(military and history, perhaps? 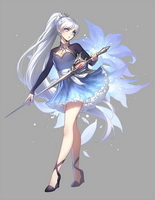 Maybe more), decides to do the best thing she can in that situation(recruit Arisse), later realizes her strengths(royal demeanor, conversation, expression, intrigue) and put them to good use to defeat the shadow from Shanjia. I'm writing a whole storyline here! XD Just an idea, do with it what you will. Let's have her talk to Charlotte whenever she is able. The second convo about Lumens might provide some nice tension-We will later see Elodie back out from becoming a Lumen; will she really choose to reject her birthright? When Julianna arrives, Elodie rejects but doesn't arrest her. Elodie is bitten by the snake and healed. Elodie's been delving into the arts only for some time, but by week 4 she decides she ought to be studying something that'd be helpful in running a country. She touches up her intrigue skills enough to know where Sedna is-but unfortunately fails to recognize the nature of the gift. She learns enough to understand what Banion means when he asks her about the necklace, but tell him she just likes jewelry. Elodie will start working on her convo and royal demeanor skills more afterwards. When Alice runs into her, she accepts the apology. When the Ixion representative demands compensation, she marries Brin off instead. Elodie decides to go after the crystal with Selene's persuasion. No one dare denies the Queen entrance to her own treasury. The Queen is then intimidated by the prospects of becoming a Lumen. She rejects Talarist gently, and puts the woman to work in the trial. With her toga on, Elodie will have decoration over 70 and please the commoners during week 16. She'll have it off next week and fail all checks except conversation. She has to shoot Banion down! Elodie will immediately suspect Sirin is up to no good and scare her off with presence. She'll then choose to direct her agents toward noble plots after that "many dark looks" line. She begins training herself physically for any assassination attempts, say, in agility. She'll survive the carriage ride to Sudbury with no problems now. Elodie will imprison the renegade Lumen. Executing him or pardoning him doesn't seem right for my Elodie. She will send Adair to Armand, recruit Sabine and send her to investigate Arisse. Elodie's skills in conversation should be enough to get Arisse to talk to her. Giving Elodie to Thaddeus doesn't seem like the best option to me, but maybe the story could play out like Kevan's good ending. There's something that could use a little expansion! On that note, maybe the whole story could play out as Elodie penning her experiences and innermost thoughts as letters to Thaddeus, away in the countryside all alone, to try and get him to open up to her. Don't know if you're taking suggestions or not, but how about making her a lesbian? Team Corvid wrote: On that note, maybe the whole story could play out as Elodie penning her experiences and innermost thoughts as letters to Thaddeus, away in the countryside all alone, to try and get him to open up to her. ...Seconding this idea because it is fantastic. As far as Elodie's ultimate love interest (or marriage partner, at least), probably who she ends up with should be most compatible with her characterization in the project, which could be Briony or Brin depending on what happens. But since the game isn't a romance, she probably shouldn't be locked into a certain partner early on to prevent any chance of a romantic plot tumor. (I admit I've been tempted to suggest Kevan, because a friend did point out to me how well his ending works thematically with the Power of Music approach, though I'm really digging that Thaddeus idea above. Yeah, the Ignatius ending certainly is sweet. A grieving, somewhat unstable child who ultimately sheds off cruelty and grows into a selfless person who saves a friend from death, a Lumen from homicidal rampage across the globe, and a weary man from a life of betrayal would have been nice. Oh, man. That would have been fabulous. And it addresses the fact that you do have to do cruel things early on in order to get this oddly touching ending, too (even if Elodie might think she's justified in punishing her mother's "murderer"). Perhaps Elodie could get her intrigue up so she can address the problem of Julianna in week 18, in the Ignatius route. She could choose to bring her alive, thus showing that Elodie isn't cruel at heart. Getting Internal Affairs high early on would show another good side to Elodie in week 13. Oh, also if Elodie decides to ask Hellas maybe she could lead Joslyn to look for his artifacts. Ordering execution for the murderer wouldn't seem too out of character, as we've already seen what she's done to a certain blue-haired Lumen she barely even knows. If Faith is made her highest skill(not actually sure what triggers this flavor text) she could discover her father's secret stash in Caloris and begin to work her way toward figuring out Lumens. Even though she'll renounce Lumen powers in one of the slides, that doesn't mean she won't change her mind years later. Add in lots of Lumen stuff to the story for some richness besides Elodie's complex character and the overall plot. I guess the main focus in an Ignatius story could be Lumen matters, moments of cruelty and kindness, and of course making peace with Shanjia. Maybe add in a vote of no confidence for her initial mistakes? Elodie'll get to interact with Ignatius a bit more here, but that I AM NOT INCOMPETENT line seems to prolong Elodie's immature phase. Which can be bad since there are only 40 chances we have to paint Elodie's journey.